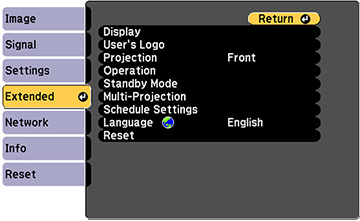 You can change the projection mode to flip the image over top-to-bottom and/or left-to-right using the projector menus. Select the Projection setting and press Enter ( ). Select a projection mode and press Enter ( ).